We are growing ever more eXcited as the iPhone X pre-order date comes in just 33 days! On October 27, pre-orders will open with initial deliveries on November 3. The Wallpapers of the Week section has already celebrated the new screen with an exclusive mini-series of wallpaper packs, which you can find linked below. But as we grow closer, expect the section to focus more on the new flagship device. 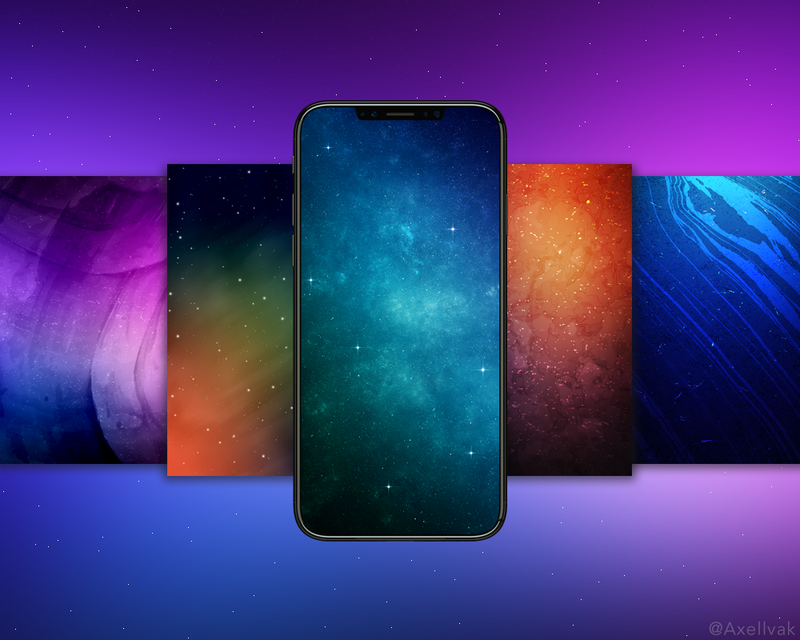 Today, we add seven more wallpapers to best prepare you for the iPhone X.
Today’s iPhone X wallpaper pack is created by @PhoneDesigner. The images are inspired by the iPhone X advertising imagery, which we also posted as wallpapers below. The assortment of swirling colors should look highly impressive on the device’s new Super Retina Display. To ensure everyone is served, @PhoneDesigner was kind enough to make the images @2x, which means, you can use it on your current Plus and regular sized iPhone devices. If you have any impressive wallpapers, which you either made yourself or found around the web, make sure to send them my way @jim_gresham for the series. Alternately, follow along for weekly updates, mid-week downloads, and conversation about the new device and its relationship to our wallpaper curation.